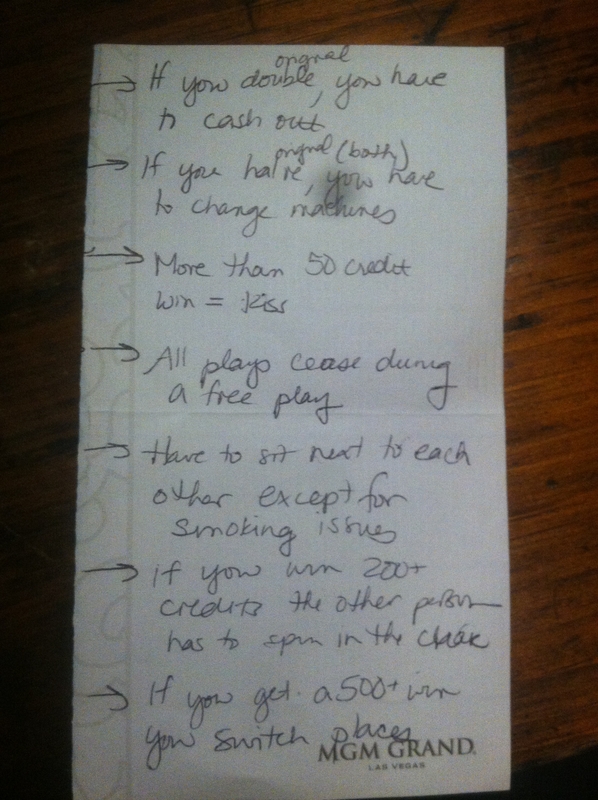 As if the excitement of gambling wasn’t enough, Janelle and I came up with our own rules for a game where we compete against each other with slot machines. Yes, we were there for educational purposes. Yes, we were there to learn. Yes, we gambled. My neck and shoulder were killing me the entire trip, I’m pretty sure it’s due to the all of the cramped flights. But no complaints, because I always remember the best parts.